I think we had a cube at some point as kids, but I never put any time into learning how to solve one. 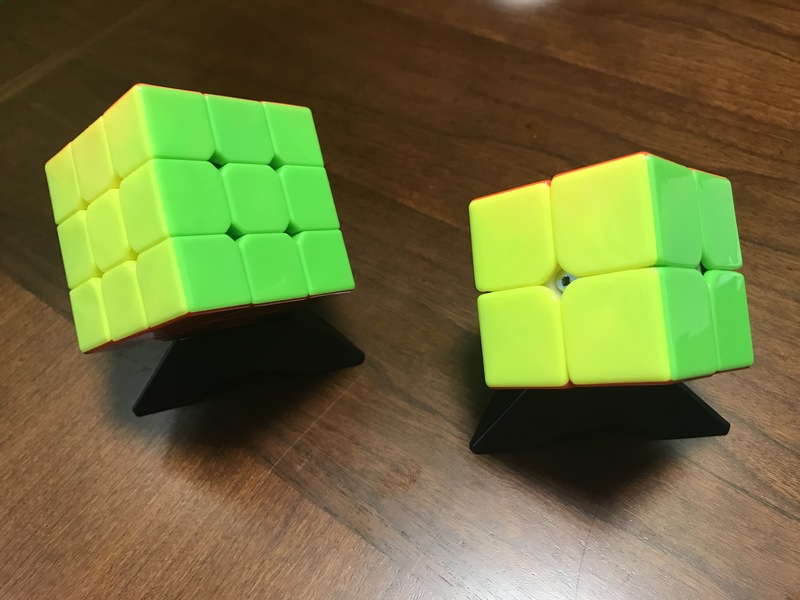 I recently watched a video (and part 2) from my YouTube subscriptions which pushed me to order this set of speed cubes for $10.99 on Amazon. I also learned of the existence of different sizes from that video. Figured they go well with my fidget cube and fidget spinners too. These speed cubes are different from the old school cubes we had growing up, because you can start to rotate a different area before completing a full rotation elsewhere. I used a step by step guide from You can do the Rubik’s Cube to learn the 2×2 and a series of videos from Think Maths for the 3×3.